A White man explaining to a Mexican man says that there are three words the Mexican needs to know in order to be all right in the city: The White man says these words are: green, pink, and yellow. Then the White man says ''Now tell me a sentence using all three words.'' 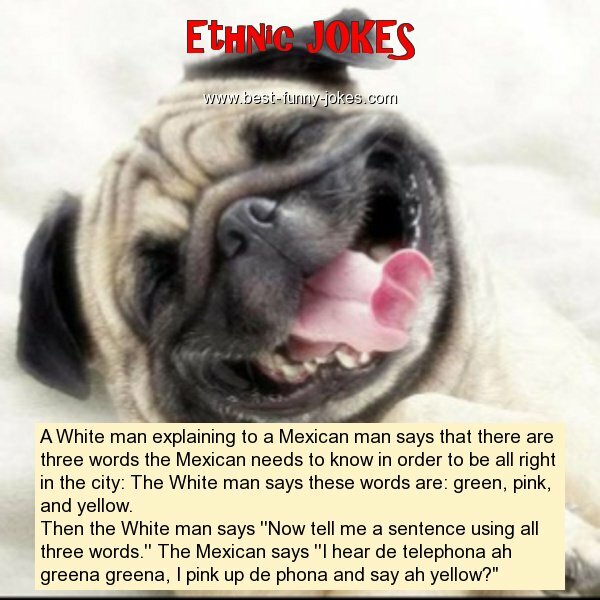 The Mexican says ''I hear de telephona ah greena greena, I pink up de phona and say ah yellow?"